Six Russian weightlifters will discover the result of their appeal tomorrow. THE RUSSIAN WEIGHTLIFTING Federation (RWF) has appealed its ban from the Rio Olympics, the Court of Arbitration for Sport (CAS) has confirmed. Russian weightlifters were suspended by the International Weightlifting Federation last week after the International Olympic Committee (IOC) – which opted against a blanket ban for the nation’s competitors amid allegations of state-sponsored doping – left it to the respective sports federations to make rulings. However, with the Games starting this week, the RWF has not given up hope of having its representatives taking part in Brazil. CAS, which has an ad hoc division in Rio that has registered 11 procedures since opening on 26 July, said the RWF’s appeal would be heard on Wednesday, with a decision expected on the same day. The number of applications made to CAS across the first seven days of the ad hoc division matches the total during the entirety of the 2012 Games. Russia won six weightlifting medals in London, five silver and one bronze. Of the eight athletes put forward to represent them, two had already been ruled out under the IOC’s stipulations for breaking anti-doping regulations – Tatiana Kashirina, a silver medallist four years ago, and Anastasiia Romanova – and a further four were listed within the McLaren report. Email “CAS confirm Russian appeal on Olympic weightlifting ban”. 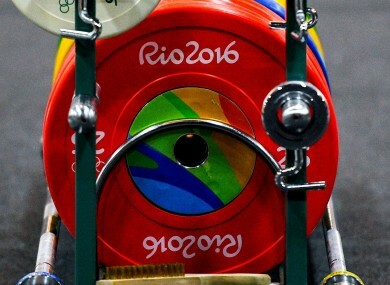 Feedback on “CAS confirm Russian appeal on Olympic weightlifting ban”.